When you live in a place that is as small as Malta, it is difficult to escape the homogeneity of its landscapes. Everything looks roughly the same and sometimes you get the feeling that everywhere you turn all you see are the same things. Yet that isn’t always the case. 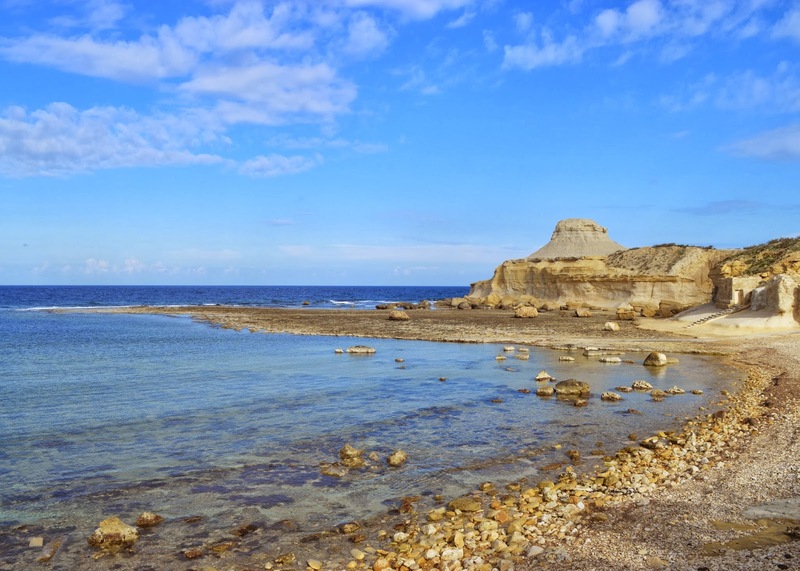 At Xwejni, Gozo, the limestone at the shore has slowly eroded away over time leaving a piece of rock jutting on top of an anorexic looking pilaster. It is an alien looking piece of landscape; the kind which in the fifties or sixties would have been used as a backdrop for a B-movie that featured trips to Mars. If you want to visit Xwejni Bay, here you can find the directions.